A beautiful roof doesn’t just add curb appeal to your property, it is an essential part of a structurally sound home. The roof over your head protects your family and belongings from the elements. As a necessary investment, what is the best way to insure your roof against a sudden loss? You should be aware that flood damage to a structure is specifically excluded from home insurance policies, but it can be purchased separately, through the federal government’s National Flood Insurance Program. Though a flood may not directly damage the roof, subsequent water damage throughout the structure can leave your entire home devastated. Talk with your insurance agent about flood insurance rates in your area if you are interested in flood coverage. Further, you should be aware that any covered loss will be subject to your home insurance deductible. Carrying a higher deductible can help you save significantly on your insurance premiums, but it will also mean that you will have to cover smaller losses out of pocket. Home insurance does not cover maintenance issues. If you suffer a loss due to a failing roof you did not attend to, your insurance company may not cover your damage. Keeping up with roof maintenance and replacing your roof when needed is the best way to avoid this scenario. Not sure if your roof needs attention? 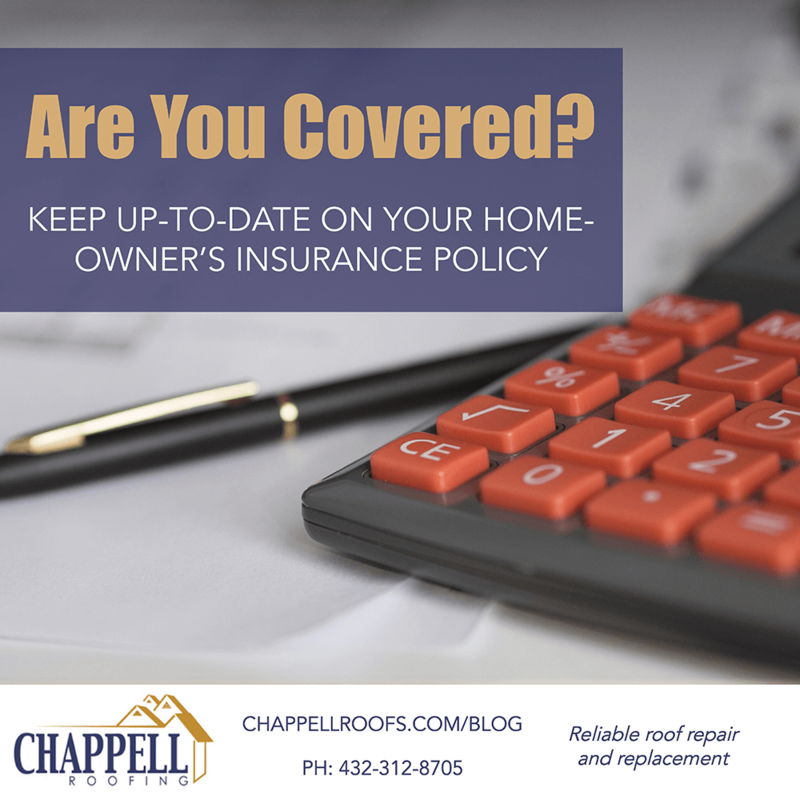 Contact us for a no-obligation assessment of your roof’s condition, and recommended next steps, including the best roofing options for your home. At Chappell Roofing, we understand that your roof is too valuable an asset to leave unprotected. Visit our website to learn more about what to do after a storm, or what to do if you have hail damage. We’ll help you understand what steps to follow after a loss to prevent further damage to your home and set everything right as quickly as possible.